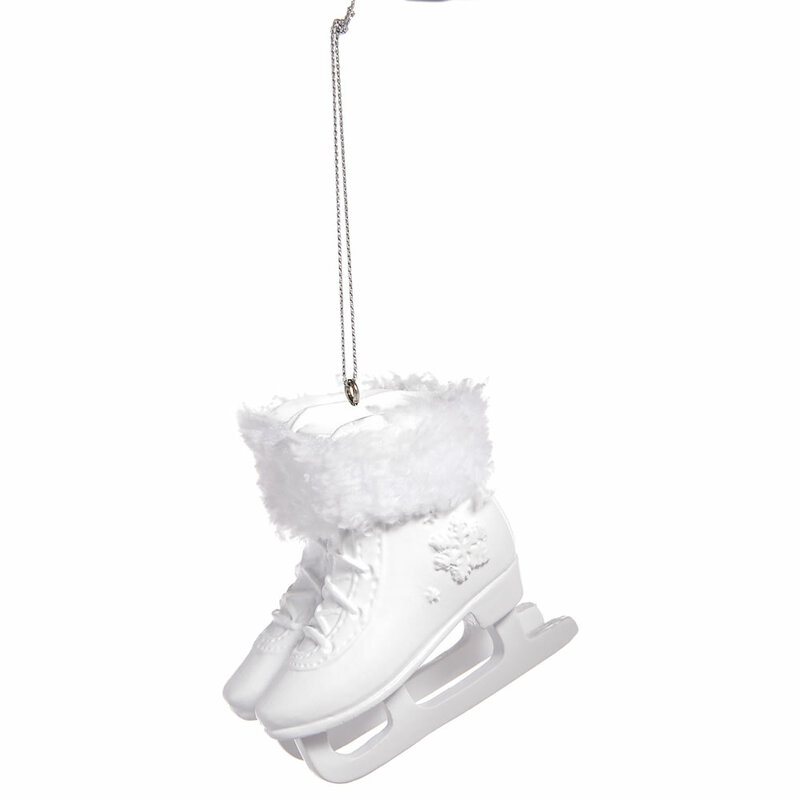 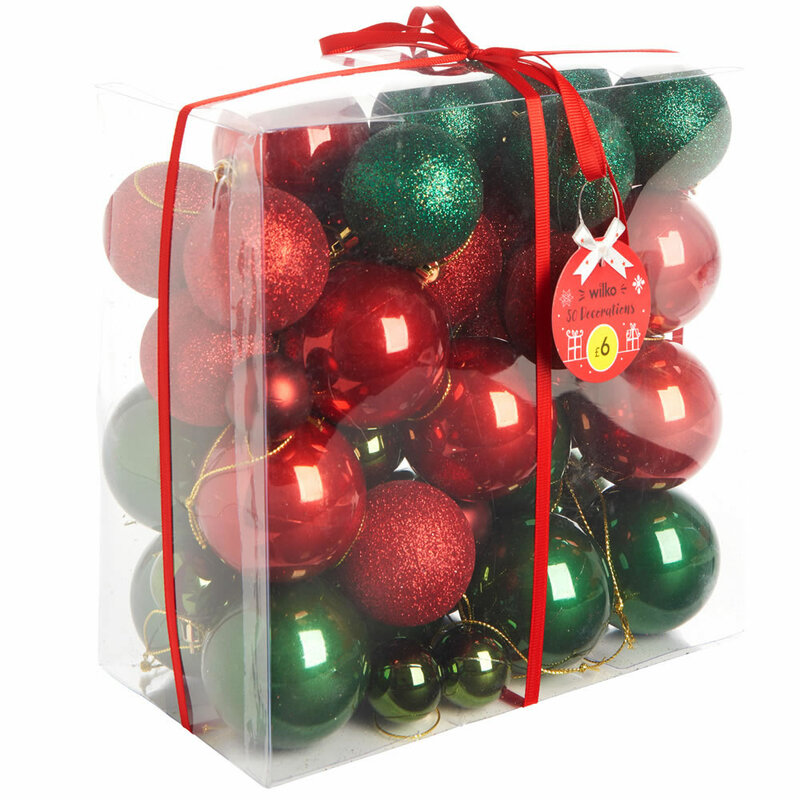 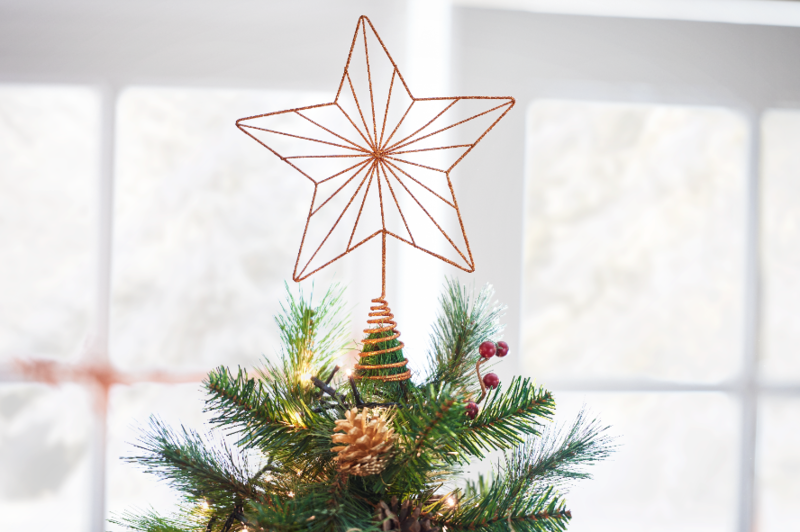 It just wouldn’t be Christmas without the tree, and when it comes to trimming it up, we’ve got loads of decorations you’ll love! 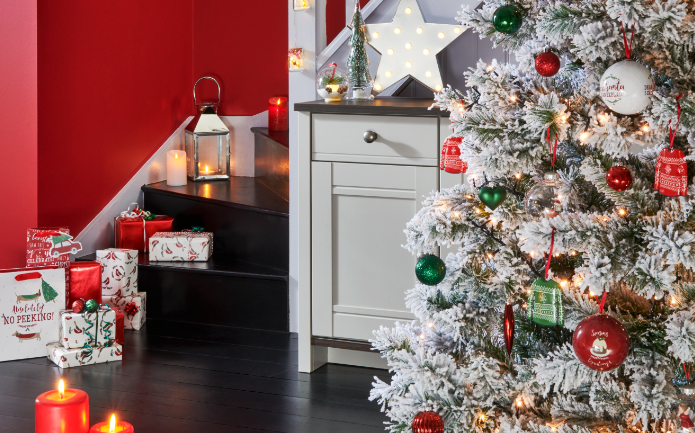 Whatever look you’re going for this year, our new trends are sure to bring festive cheer to your home! 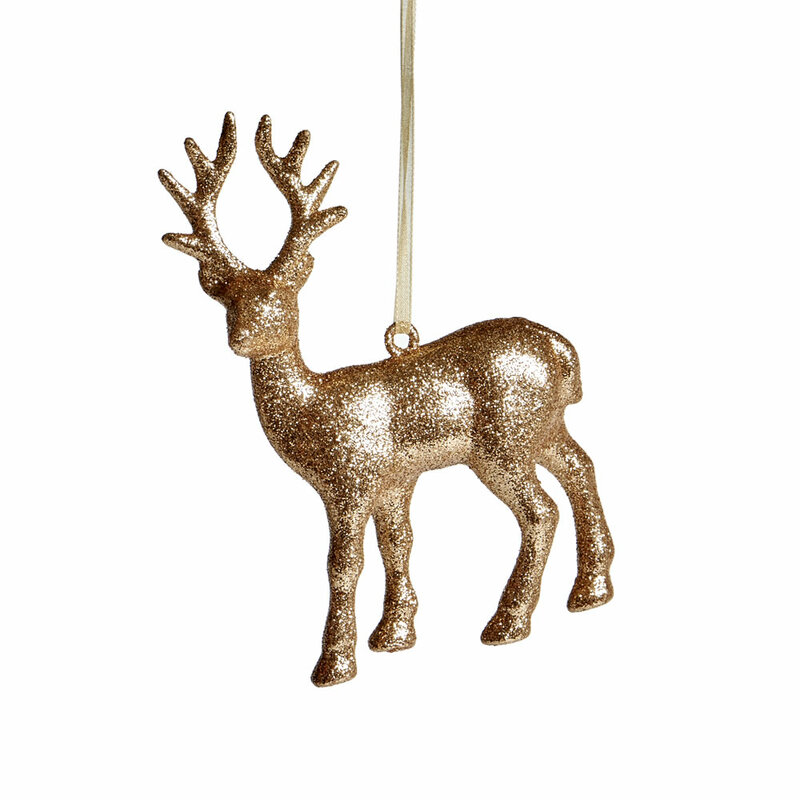 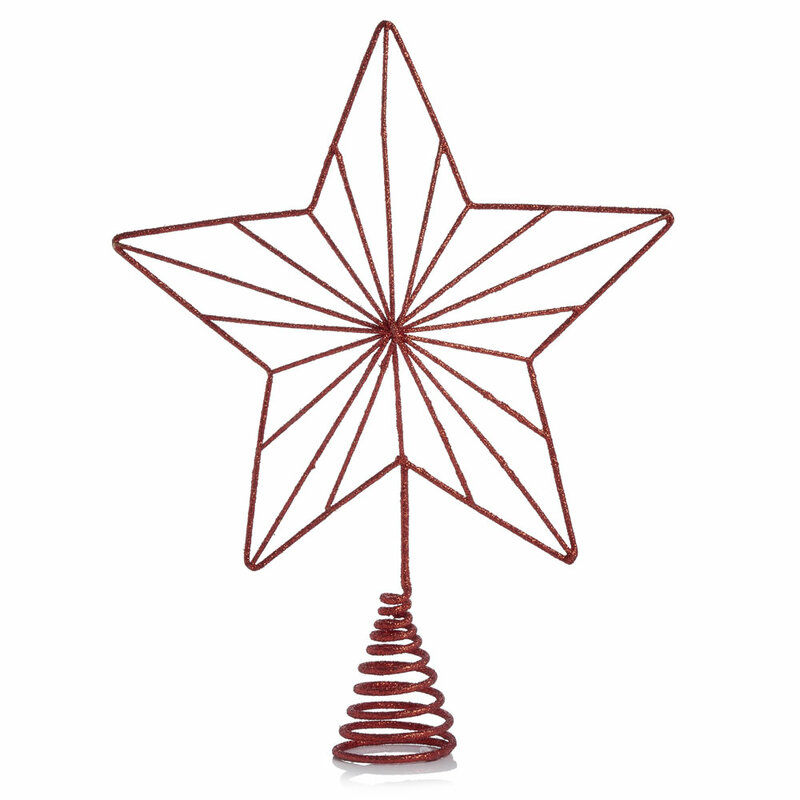 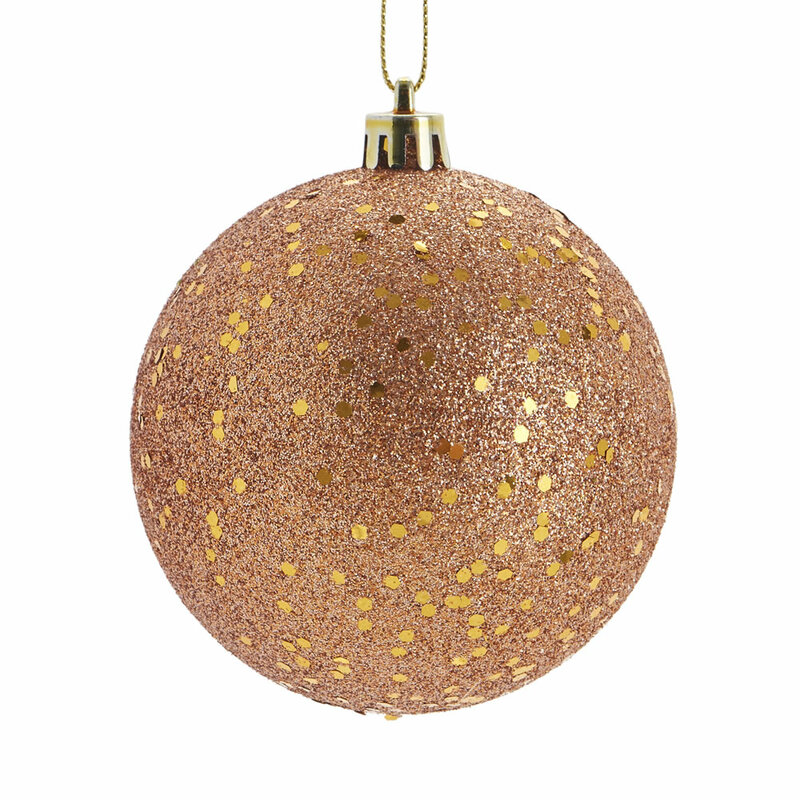 This Nordic-inspired trend is all about adding a fun and festive touch to your tree. 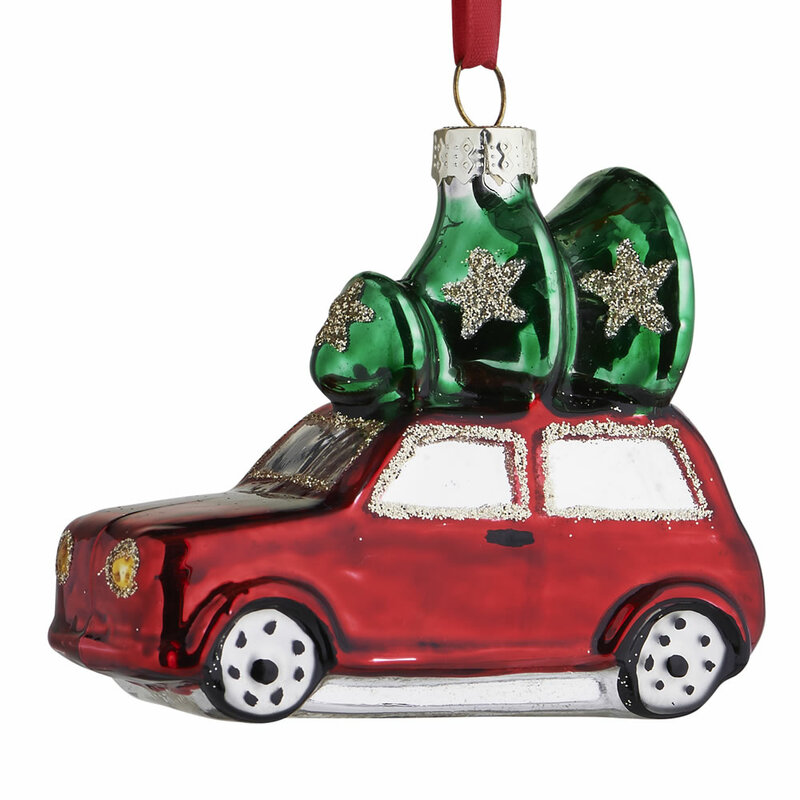 Red and green baubles pair perfectly with quirky sausage dogs, novel nutcrackers and fun fairies to give you an upbeat look which focuses around family time over the Christmas period. 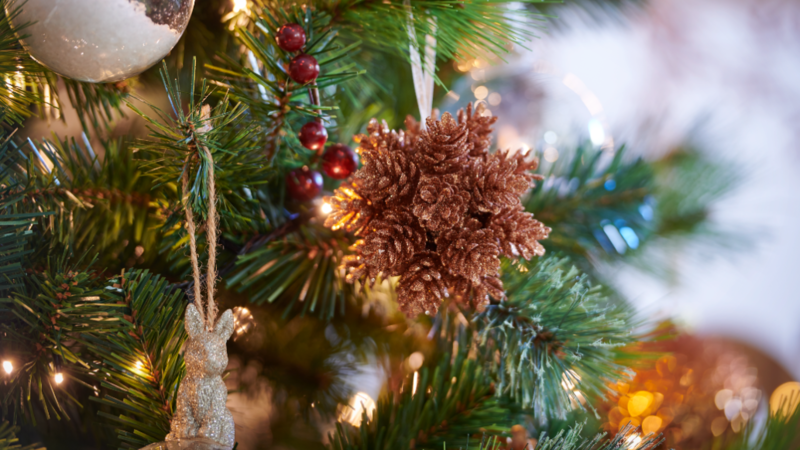 Country Christmas is all about cosy winter nights gathered in front of the fire. 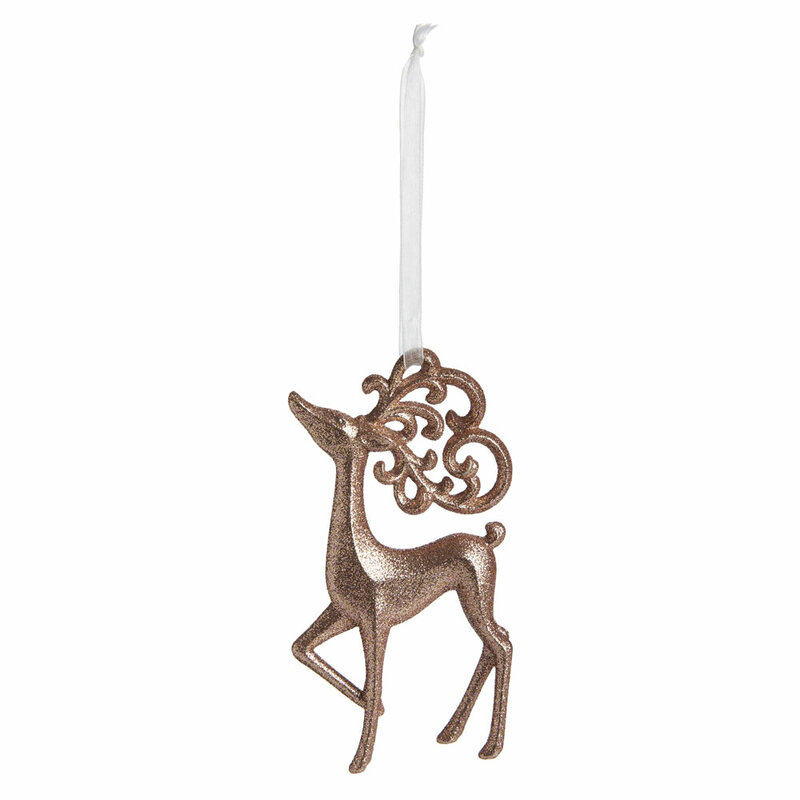 These nature-inspired tree decorations combine woodland animal figures like stags and bunnies with pine cones and rustic materials for a homespun feel that’ll bring a warm touch to your home over Christmas. 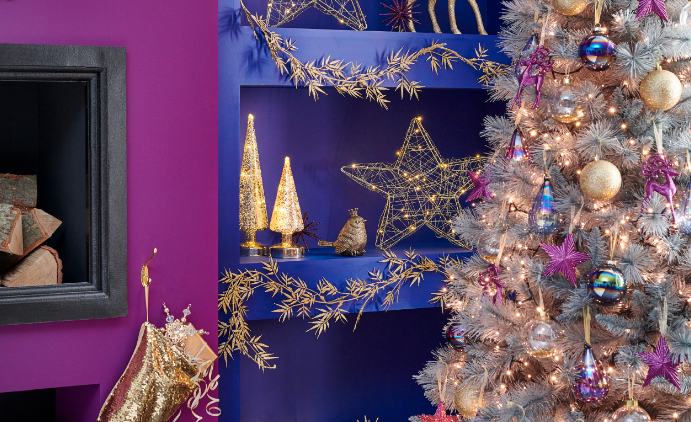 Bring a dramatic and glamorous look to your tree with the Midnight Magic trend. 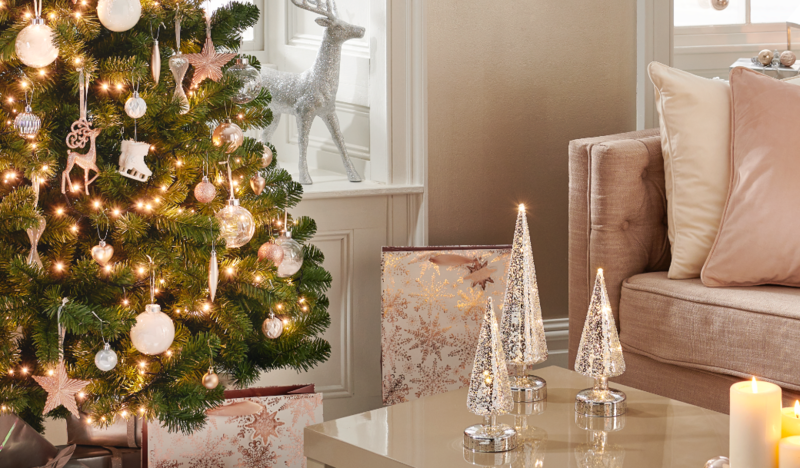 It’s all about long winter nights and the party season. 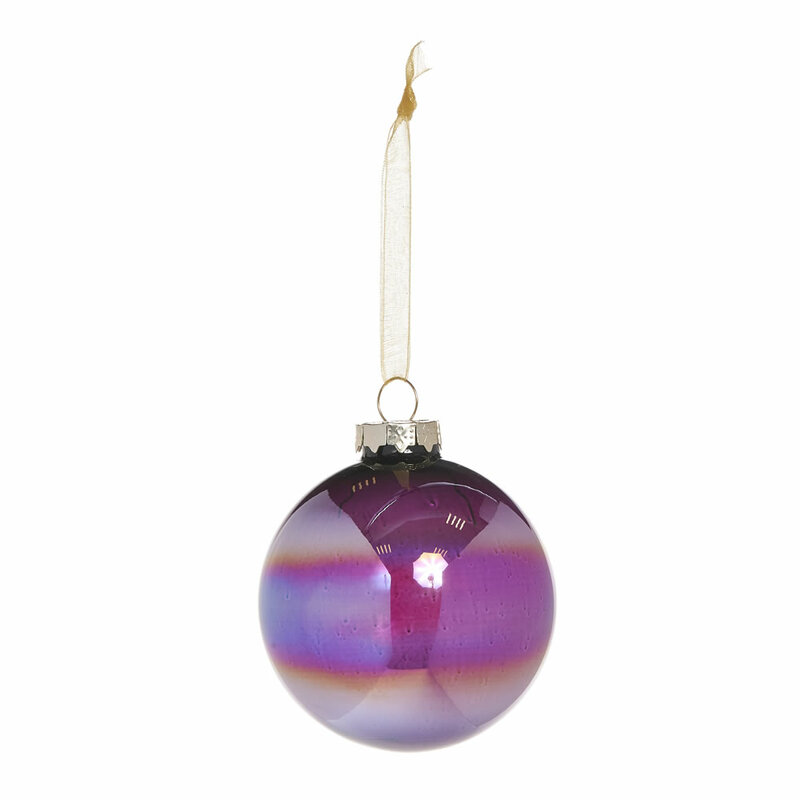 Iridescent decorations pair with rich purple and metallic gold shades for the ultimate glitzy look, and hammered metals, high-shine glass and crowned birds give your tree a bold and opulent look. 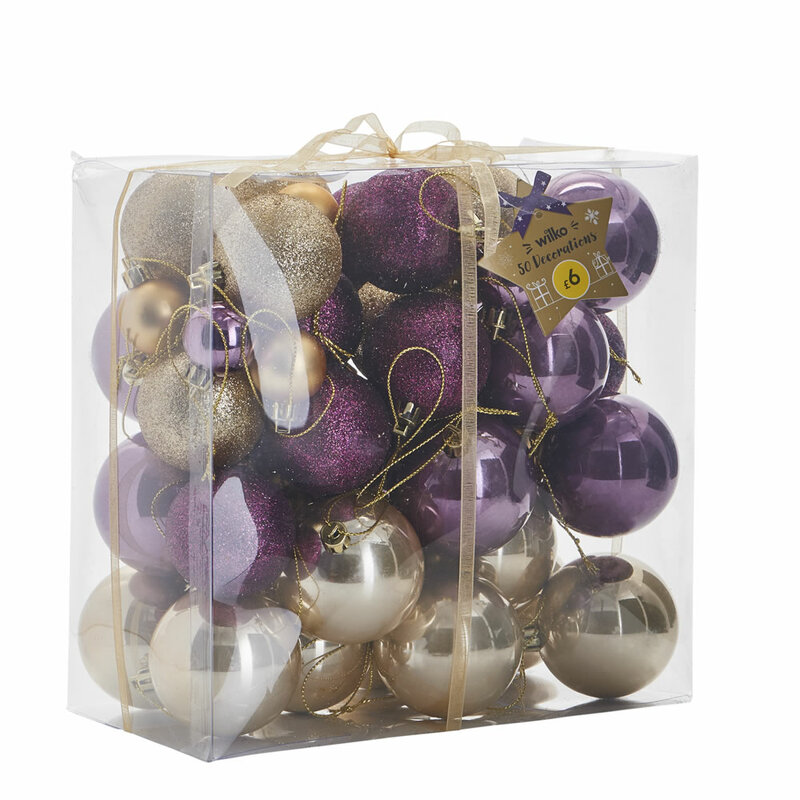 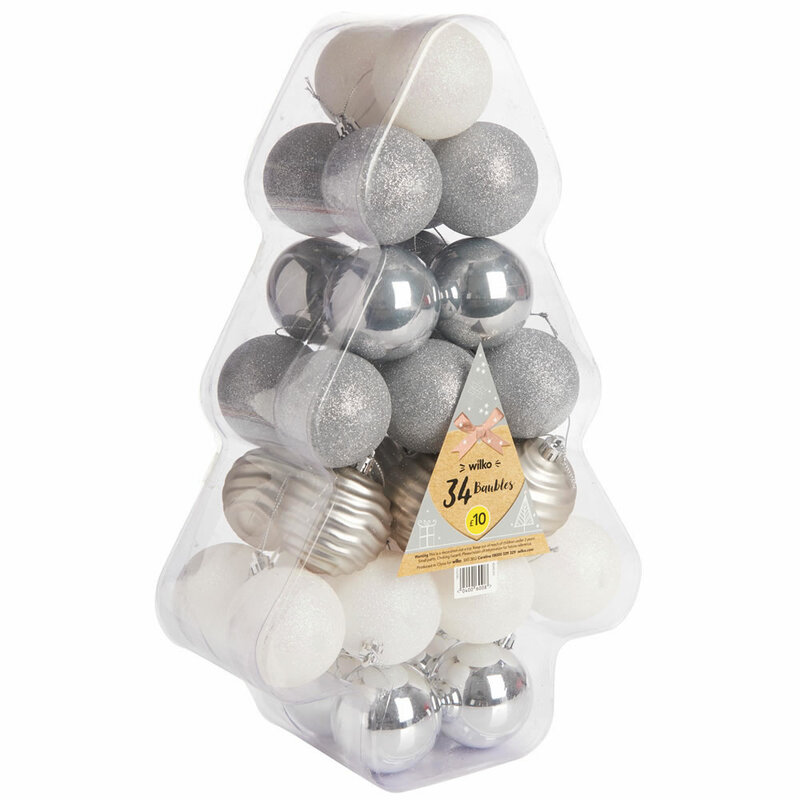 Winter Wonder is a feminine Christmas collection which will make your tree sparkle and shine. 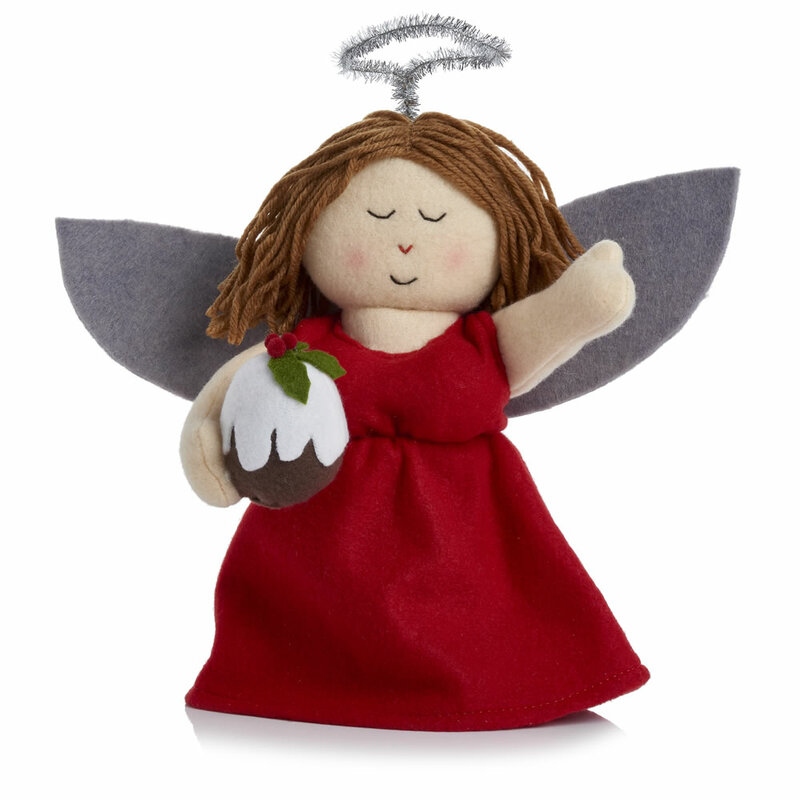 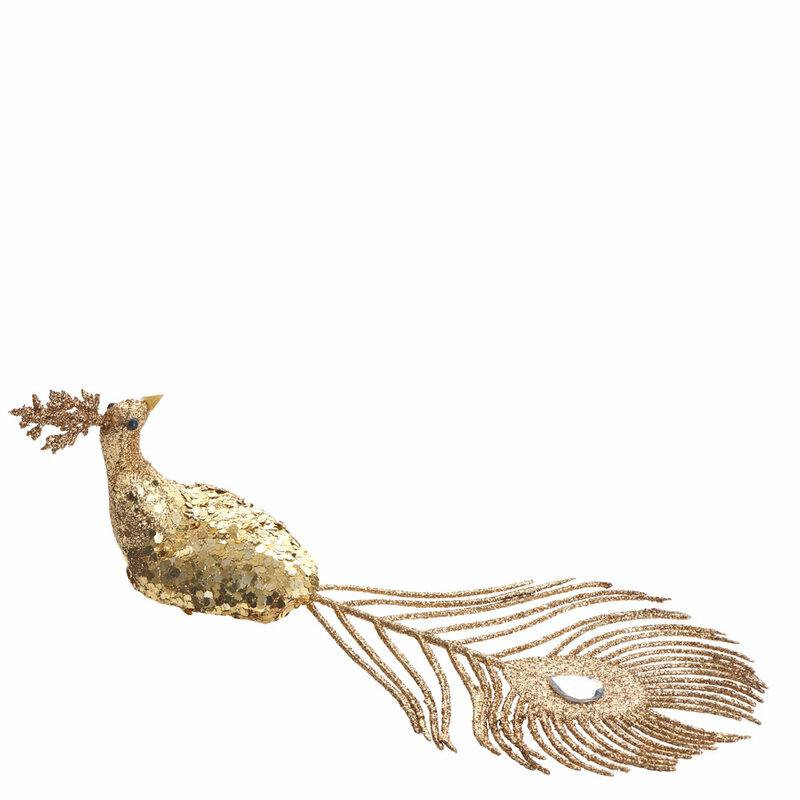 These beautiful decorations feature faux crystals and feathers, as well as stag designs and fairies.